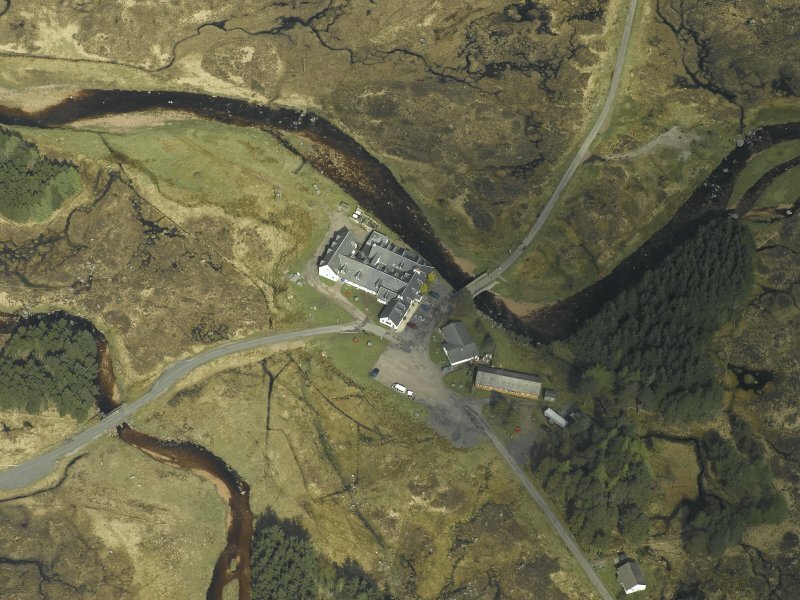 Oblique aerial view centred on the hotel and the bridge, taken from the W.
Oblique aerial view centred on the hotel and the bridge, taken from the SE. 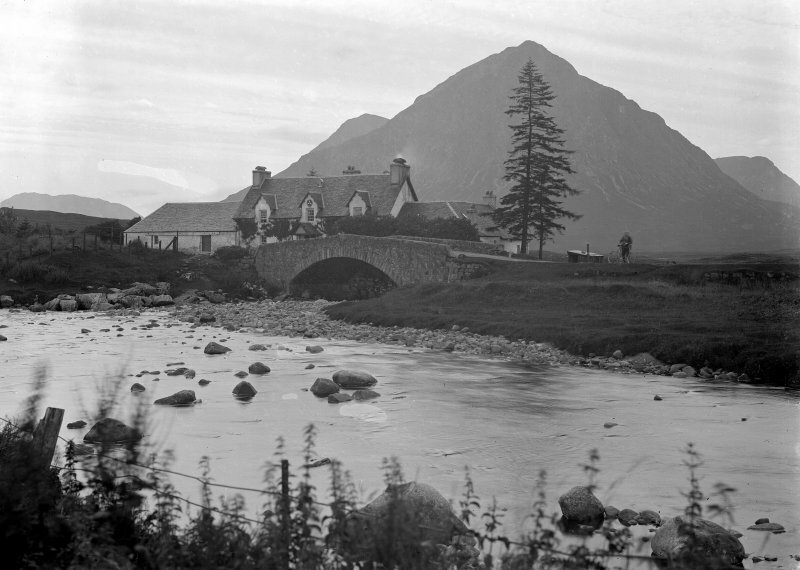 View of Kings House Hotel and the bridge over river Etive. 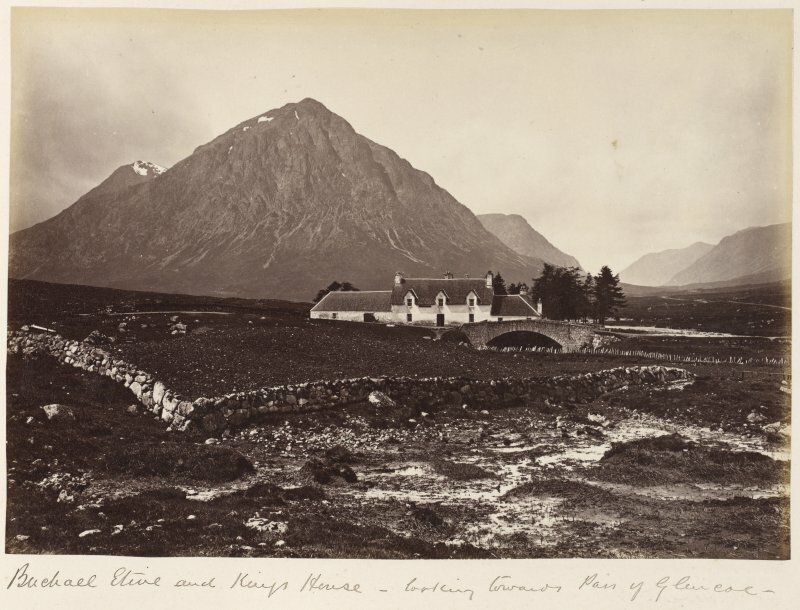 Titled: 'Buchall Etive and Kings House - looking towards Pass of Glencoe'. 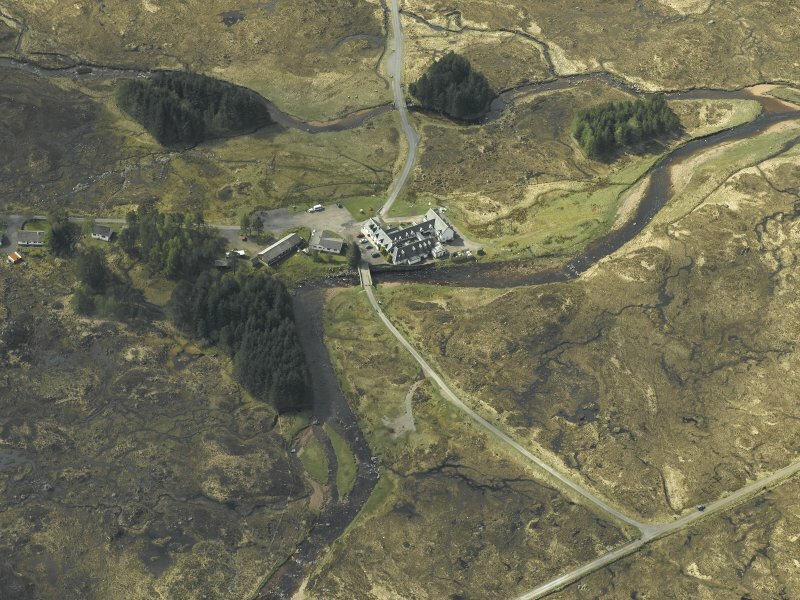 Oblique aerial view centred on the hotel and the bridge, taken from the NE. 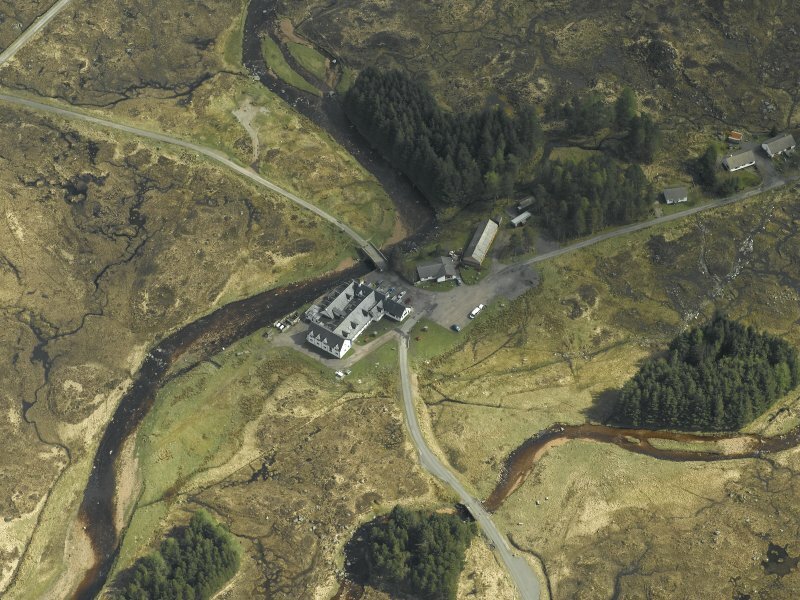 Oblique aerial view centred on the hotel and the bridge, taken from the SW. 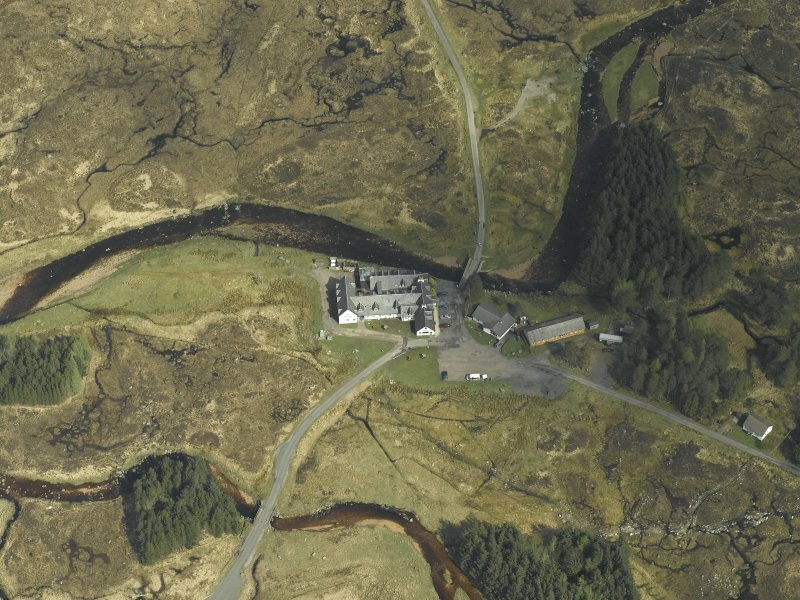 Through the canyon-like Pass of Glencoe and out onto Rannoch Moor, and the only building for miles is: Kingshouse Hotel, mid-18th century, now much modernised and extended to cater for the hillclimbing brigade that has replaced 'drovers, pedlars, soldiers and travellers' as its main clients. The original inn is still visible at its core, attractively sited beside Caulfeild's bridge of 1751-2. It was described by Dorothy Wordsworth in 1803 as 'a large square building, cased in blue slates to defend it from storms ...'. The 'Kings House' was built c.1750 as accommodation for troops and travellers. It was renovated in the early 1960s without altering its essential character. 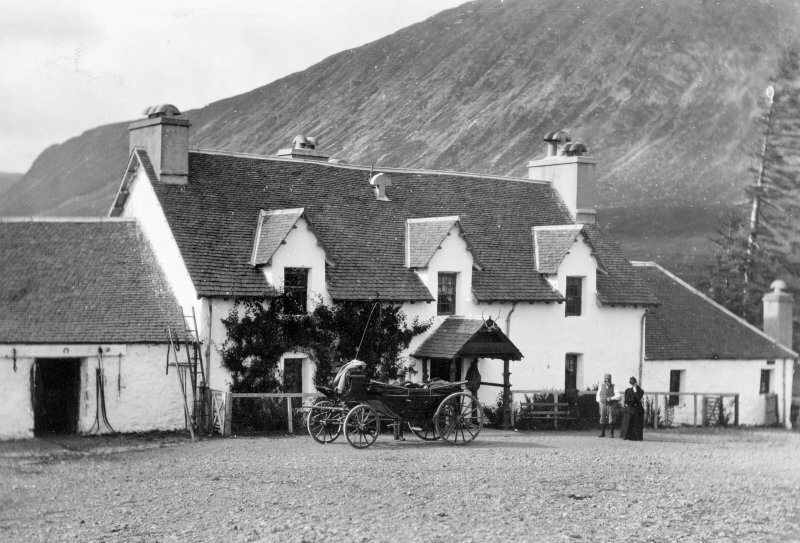 The Kingshouse Hotel has been dropped from the previous statutory and/or descriptive lists. Kings House Inn. 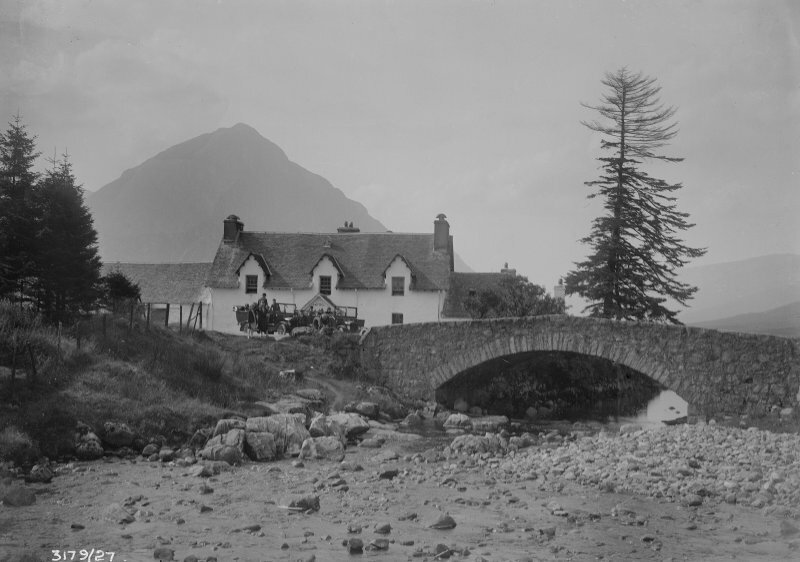 - Glencoe. 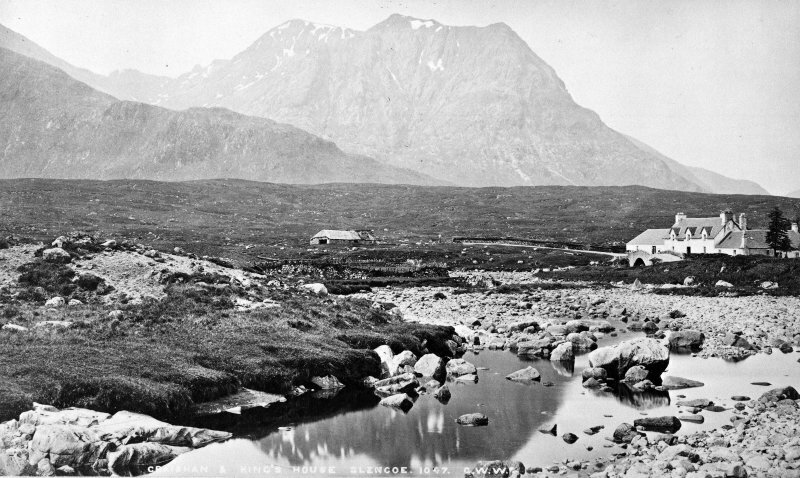 Rannoch Moor. National Library of Scotland. Country Life 26 January 1945 - photograph.